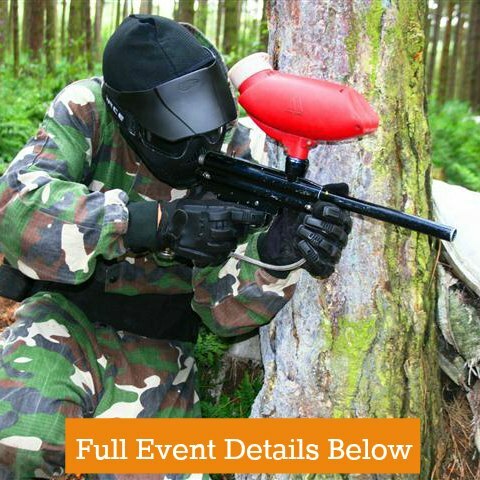 All Paintball Equipment is provided. 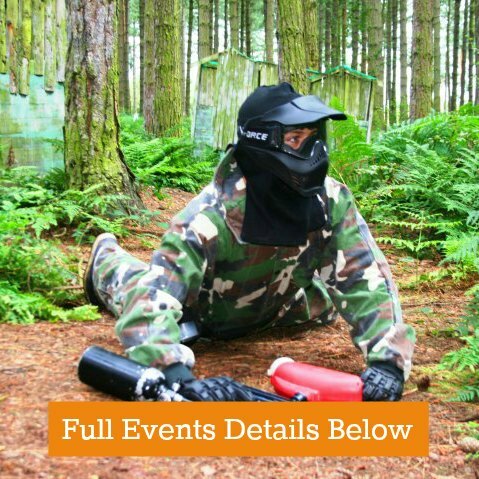 Inc coveralls, goggles and Body Armour. 250 Paintballs are included and they cannot purchase any more. Min 10 required to run smaller groups can mix Larger groups of 16 players or more can book private events. If you have a small group (under 10 players) we advise you contact us before booking to confirm we this event running on your requested date. 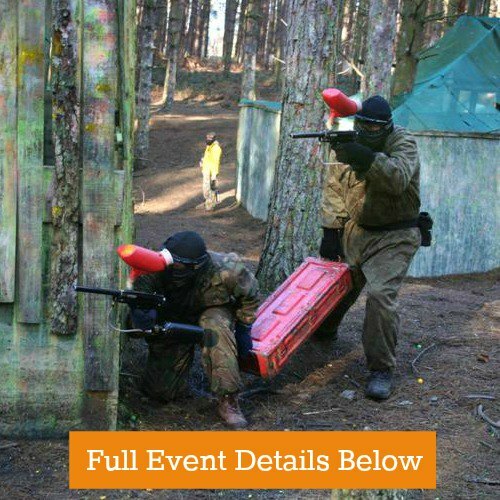 Fixed cost £20 per person and includes everything a player needs inc 250 paintballs per person. Guests CANNOT buy any more paintballs so will not run up big bills for Mum or Dad. 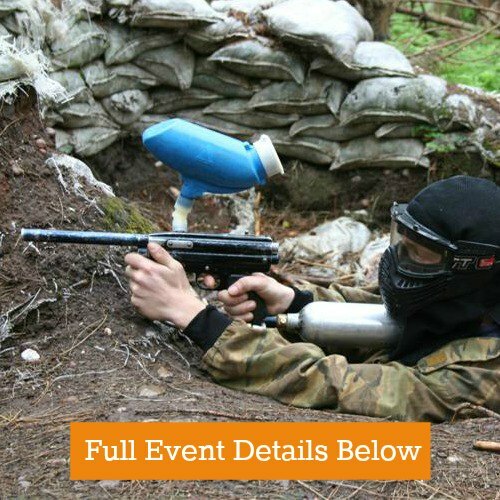 Paintballs are issued across the event so the juniors do not shoot all there paintballs in game 1. Safety kit provided as standard including Body Armour. If you have a large group of 16 or more players Private events available. No WiFi, No PlayStations just outdoor fun, sorry they may come back dirty !